As planet Earth is continually plagued by ever worsening wars, terrorism and overpopulation, a plan is constructed to progress mankind and push space travel further than it has ever gone before. Universities across the world unite to create the UU, a body which funds and populates the first human colony on Mars. As soon as water is found, even after the unexplained death of the hydrologists, the project is confirmed and soon six different towers are constructed to house Earth’s different nations. The UU decide who can and cannot take the one-way journey to Mars and decide that to protect their new home, all religions will be banned. Although rations are tight, there is one main problem that continues to blight their mission and place the entire project at risk. Every single child born on Mars dies within moments of leaving its mother’s womb. Years pass and babies continue to die but eventually, new life is found and then, new life finds them. Rather than being written from any single perspective, The Finches of Mars takes an overview of the community and often dips in and out of the lives of individuals. With a number of important characters, the style works superbly and adds to the scientific study feel of the novel. 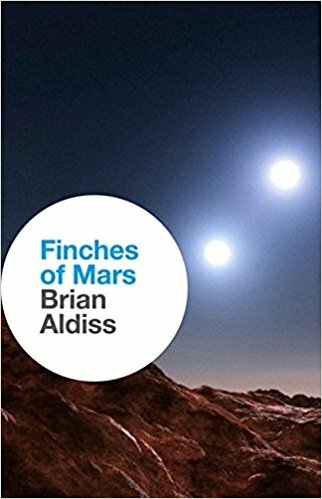 The language is incredibly intelligent yet fluid and Aldiss introduces a number of interesting ideas that add a depth and realism that makes this story so fascinating. A must read for science fiction fans with the potential to be a modern classic.